Pulitzer Prize-winning novelist Junot Diaz (writes) on our arc of disasters—from Haiti to Japan to the Mississippi—and what it tells us about ourselves. 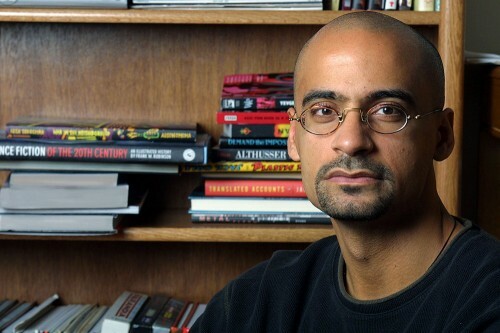 Natural disasters, like the Haitian earthquake are not only catastrophes; they are also opportunities for introspection, says Junot Diaz. Listening to Diaz for one hour was like listening to a voice whose owner would be welcome for dinner at our house. When he noted that New Orleans, one of the most historic and culturally rich cities in the U.S. has been allowed to virtually disappear as a result of hurricane Katrina, he wondered out loud, "When people around the world take note of how unconcerned we were about one of our own cities being removed from the map, they will certainly have no help for any of us should we encounter a similar catastrophy. From the Dominican Republic, Diaz is emminently familiar with her neighbour Haiti. And his perspective on Haiti is both dramatic and incisive. According to Diaz, Haiti rejected slavery at a time when much of the world approved of slavery, and as a result, Haiti was ostracized for her decision, and as a consequence of that, Haiti was denied the usual support to build the necessary infrastructure that would sustain a civilization and a culture. So, whenever a disaster like the earthquake of several months ago hits, there is simply no civilization to provide the needed medical and housing and nutrition support for the people. By contrast he point to Chile which also suffered an earthquake, but because she has the infrastucture and the supporting culture, she did not suffer nearly as deeply. According to Diaz, we need to look at the things that are happening around us, and learn from them. When he looks at the recent tsunami and earthquake in Japan, he notes that it is still possible for the nuclear fallout to reach Tokyo, and, imagine, he says, what would happen if Tokyo should, God forbid, have to be abandoned. And yet, in our insatiable appetite for power to generate industry and to light and heat homes, offices and factories, it is quite conceivable, according to Diaz, for politicians in North America to build many more nuclear reactors on seismic fault lines, or near coastal regions subject to more tsunami's. Are we never going to learn? Do we simly not reflect on the things that are happening right before our eyes, not exclusively from the perspective that some religious literalists would have us read the Book of Revelation, but more from the perspective that we are making statements in many of these large disasters about our own future. Currently, Díaz teaches creative writing at MIT and is also the fiction editor for the Boston Review. He is active in the Dominican American community and is a founding member of the Voices of Our Nations Arts Writing Workshop, which focuses on writers of color. Diaz was a Millet Writing Fellow at Wesleyan University, in 2009, and participated in Wesleyan's Distinguished Writers Series.